Dr. Ta-En Lo had his western medical training in Chang Gung Medical center in Taiwan. So far, he has clinically practiced in Chiayi for 18 years. Learning from American open system, Dr. Ta-En Lo started the first group practice union clinic in Taiwan. Department of Health of Taiwan also legislated the enactment of group practice union clinic according to Dr. Ta-En Lo's ideas. With his training in western medicine for twenty years, Dr. Ta-En Lo introduced immunotherapy into Taiwan from Europe, as well as intra-vessel helium-neon laser therapy from Germany and Russia. Both of these therapies feature strengthening immune system without chemical medicine. Immunotherapy can be used to treat allergy, by finding the allergens, and constant subcutaneous injections afterwards. Intra-vessel helium-neon laser therapy can enhance immune cells using certain energy, treating stroke, renal insufficiency, abnormal liver function, embolism and improve blood circulation. 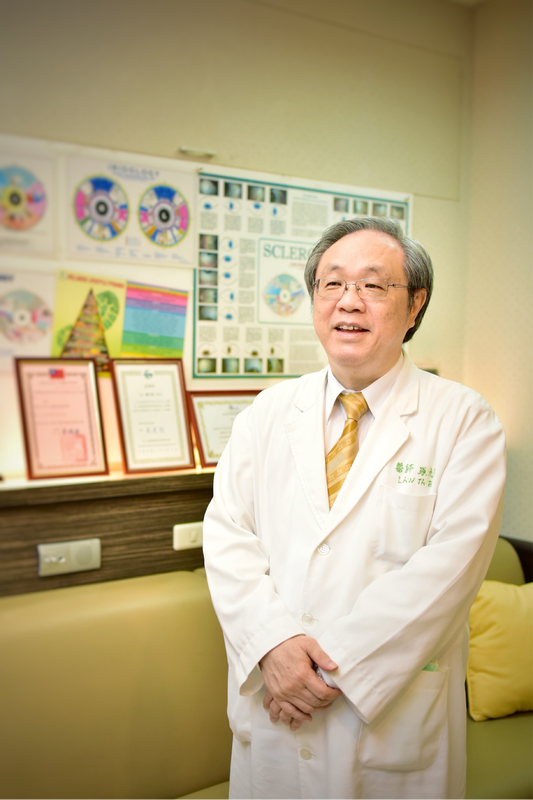 Dr. Ta-En Lo is the first physician to reinforce patients' immune system with immunology and energy therapy alike in Taiwan. Dr. Ta-En Lo knew about Iridology six years ago, but still with suspicion of its truthfulness. Comparing Iridology to his origin experience in western medicine, he confirmed the factuality of Iridology. At present, Dr. Ta-En Lo practices medicine in Chiayi, which is near Mountain Ali in Taiwan, and he has treated more than one hundred and twenty thousand patients. There are three doctors in his group practice union clinic, including Dr. Lin(a family physician), Dr. Lai(an oncologist from America) and Dr. Ta-En Lo himself. In the union clinic, they practice immune and energy therapy, flower essence and nutrition detoxication, and also modern medicine. The number of patients treated with Iridology is around ten thousand, and Quantum from America and Neuron from Russia are equipment used to track patients' conditions.